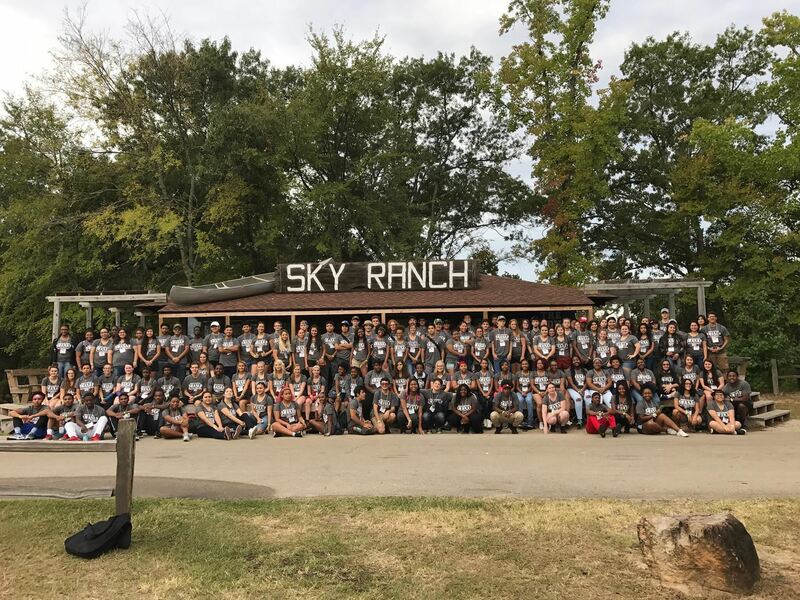 The 2018 SWASAP Student Leadership Conference returns again for another year! 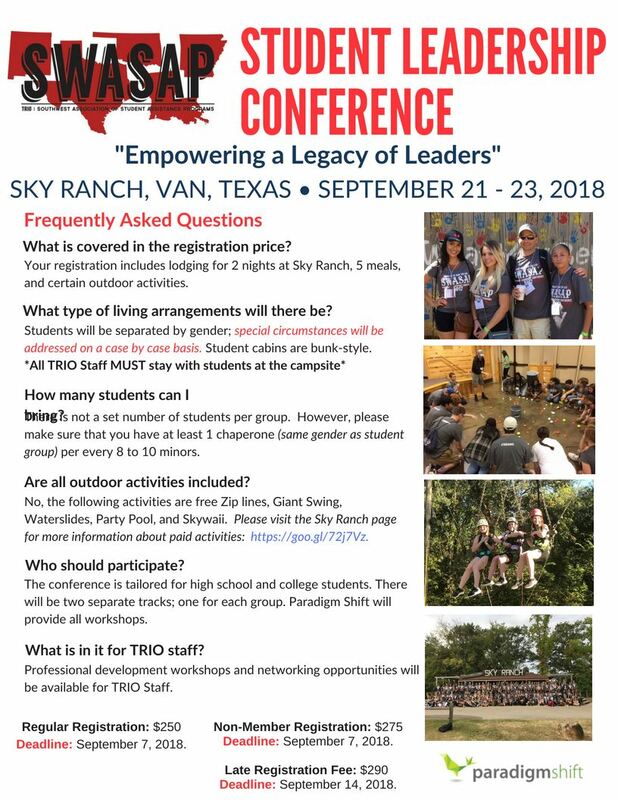 The SWASAP Student Leadership Conference will be held September 21- 23, 2018 at Sky Ranch in Van, TX. This year’s theme is “Empowering a Legacy of Leaders”. We will have a Pre-Collegiate track and a College track available. Paradigm Shift will be providing the programming for all workshops for all participants. •	Develop community among students. •	Create opportunities for student leadership skills to grow. •	Encourage students to take personal responsibility for their goals. •	Identify and develop individual leadership strengths. •	Provide opportunities for students to strengthen communication skills. •	Diversity training and empathy.